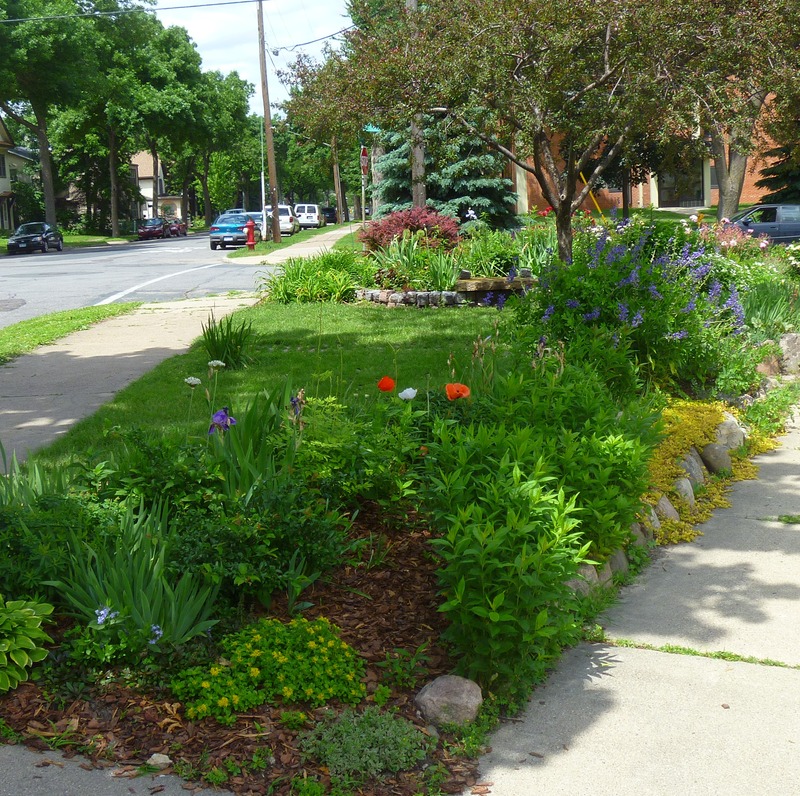 Last fall I apologized to Robin Russell, the volunteer park steward who maintains the lovely Sibley Triangle in Northeast Minneapolis, for not getting a picture of her superb work. This is to make amends. These photos were taken on May 30 after a week of rain. Beautiful. Sibley Triangle, May 30, 2012. Washington St. NE is on the right, 5th St. NE on the left. Sibley Triangle from the east (Washington St. NE). I’d love to hear from Robin and park stewards who beautify other parts of our park system. Tell us the story of your garden—and send photos. NOTE: Please see “Comments” for information on other gardens. Awesome! This is a gorgeous garden! Kudos, Robin. I just got a note from Bill Payne that provided a Facebook address for Thomas Lowry Park Gardens http://www.facebook.com/ThomasLowryParkGardens. 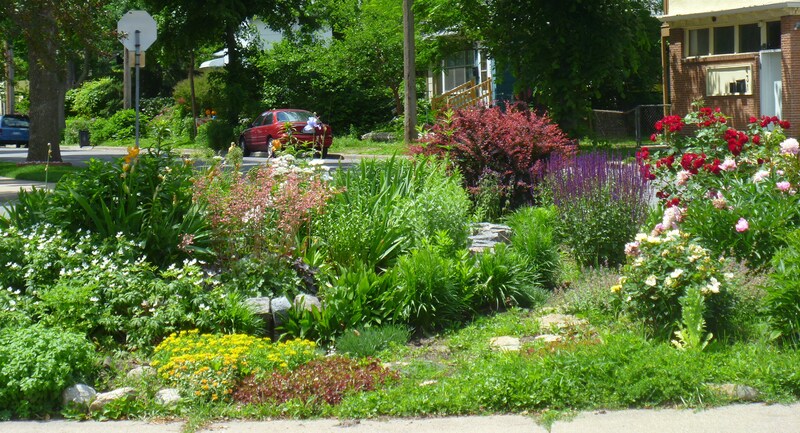 When you visit the page please note the links also to Loring Park Garden and Lyndale Park Garden. I “liked” all three. Do any other park gardens have Facebook pages? Of course, I must not forget to mention the oldest garden-support club in Minneapolis parks, which is the Friends of the Wild Flower Garden. Friends was formed in 1952 to support the Eloise Butler Wildflower Garden in Theodore Wirth Park. They have a marvelous website at friendsofeloisebutler.org. Happy 60th Birthday! I received another note about the triangle at Park, 51st and Minnehaha Parkway that people from the neighborhood planted after an elm tree was cut down. I looked it up on Google maps and it looks lovely. Anybody have a current photo of the triangle or know who did all that great work?